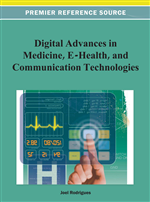 This paper examines the study of healthcare services provided through a telemedicine oriented Emergency Health Support System (EHSS). This study caters to the needs of senior citizens, but can be extended to a larger population. The main goals are to model the support system in Service Oriented Architecture (SOA) using Cloud Computing and study its performance. The paper compares a system deployed in the cloud versus a co-located environment based on data gathered from the prototype. The emergency support system has a 24/7 remote healthcare monitoring of registered users and provides immediate support in case of a healthcare emergency. The telemedicine system empowers the physicians to prescribe medication based on the users’ vitals, via email, instant messaging, or phone. The system can be based on the platform of Cloud Computing to not only improve performance, but also cut down on computing and networking resource requirements to a large extent. A prototype of Emergency Health Support System has been developed and the system has been modeled and tested to derive performance statistics of the system’s capability. Modern healthcare services go hand in hand with technology (Lauer, 2009). With the advent of path-breaking medical devices a patient’s healthcare is no longer limited to a doctor’s visit. There are numerous devices that can send patient’s information to physician remotely. These sensors and actuators make the system feasible to collect information related to bodily conditions, such as temperature, heart rate, blood pressure and almost any other physiological characteristic that provides information to diagnose health problems. Remote healthcare is not limited to diagnosis anymore; technology has made telemedicine a reality. These services are particularly useful for mobility-impaired patients, including senior citizens and others with more cognitive impairments that need intensive support from healthcare professionals. A path-breaking technology that has proved most efficient in emergency support for the society is the GPS tracking system. This facility enables to track people anywhere and anytime. Those with diseases like Alzheimer’s and many others can be provided continuous support using this technology (Liveview GPS, 2010). When combined with remote monitoring and telemedicine, a comprehensive emergency and support system can be provided. A support system for millions of patients can be very complex. There are private and public services that operate based on different models and governed by different healthcare protocols. Integrating such services to provide a comprehensive support system to the society is a big challenge. Service Oriented Architecture is capable of playing such an important role in alleviating these differences. Many of the modern Electronic Health Records (EHR) systems are developed as services that are used by different remote medical data collection and processing services. eMDfix, a free EHR service, is one of the major pioneers in designing an EHR based system (eMed Practice Inc., 2010). This system is governed by many health protocols such as HIPAA to protect the privacy of patients. Though, an even more important requirement of healthcare is an architecture that supports high computational and processing power. The healthcare system is moving to Cloud Computing for this very reason (Lauer, 2009).